Last week the Doctor Who crew were filming Jenna-Louise Coleman’s first scenes as the new companion, although apparently not her debut story. 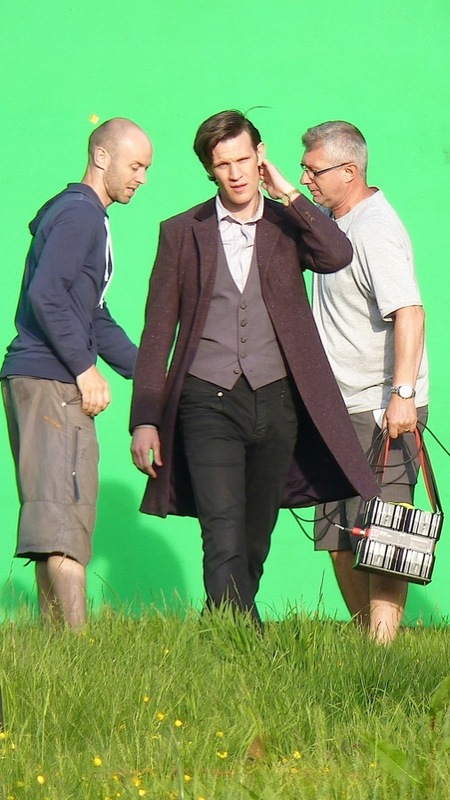 Well today the BBC have issued a nice shinny new official publicity photograph from the filming (see below). This is the first publicity photo of Jenna-Louise with Matt. 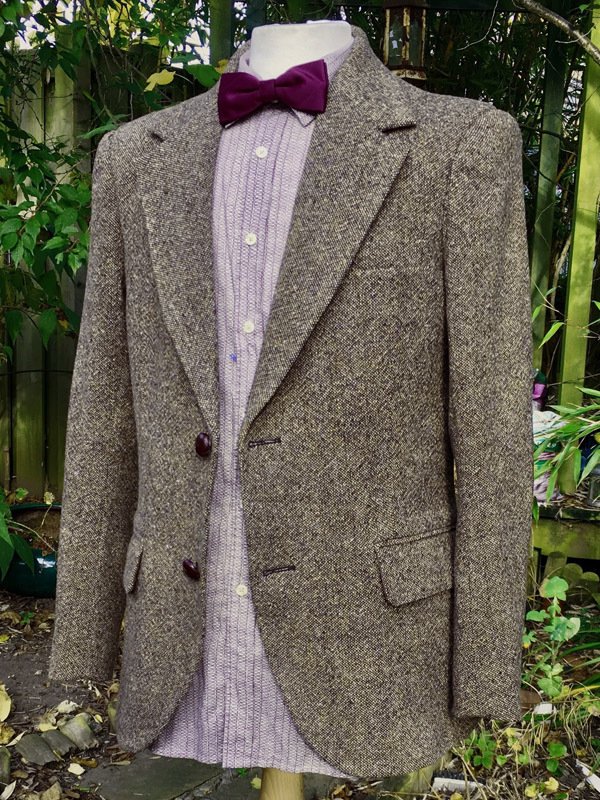 The photo also shows the coat in better detail, and shows the fabric matches the material I bought last week. I’m not gonna rush into making myself a replica as the fabric is mega-bucks expensive. 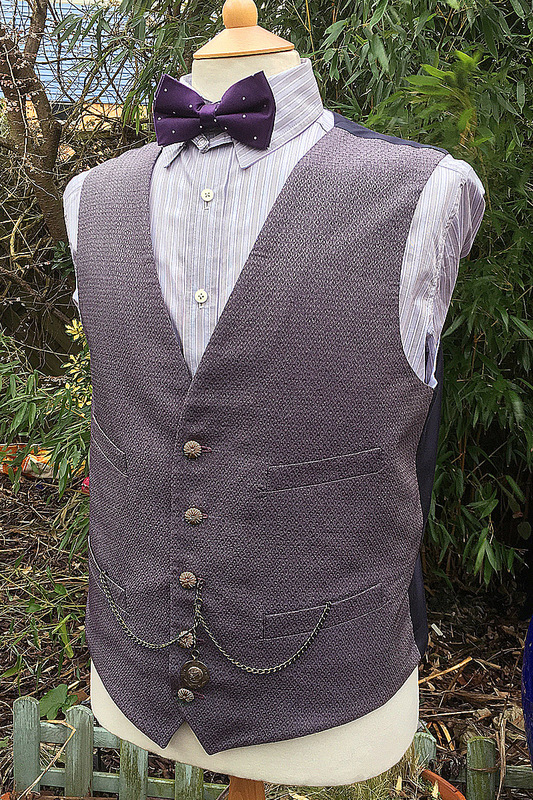 Once I can work out the pattern I’ll be having a go, so keep an eye on my blog in the next few months. Great job finding that fabric so quickly! Its a complete match for sure!! What's the name of that fabric? I wonder about the fabric as well, is it made by Linton? It looks like it could be a Linton fabric. Another coat! They do their job at keeping you busy Steve! 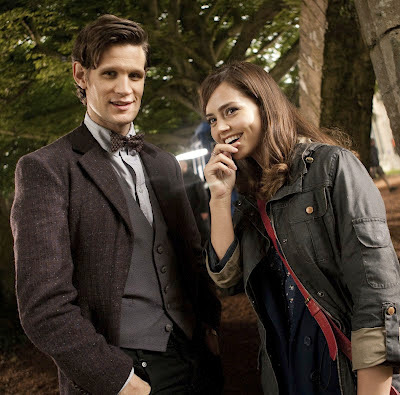 I suppose as long as there is Doctor Who, you'll always have new exciting projects to follow. But can blogspot handle all the blogs you'll need to make a few Doctor's down the line! Ha! Also, slightly unrelated, but did you ever finish the crimson/maroon/red version of the blue Tennant suit? I remember you tested dying the fabric with that red color (which by the way I REALLY liked the look of), but I don't seem to recall you posting a completed version of that suit. I'd be interested in seeing it! 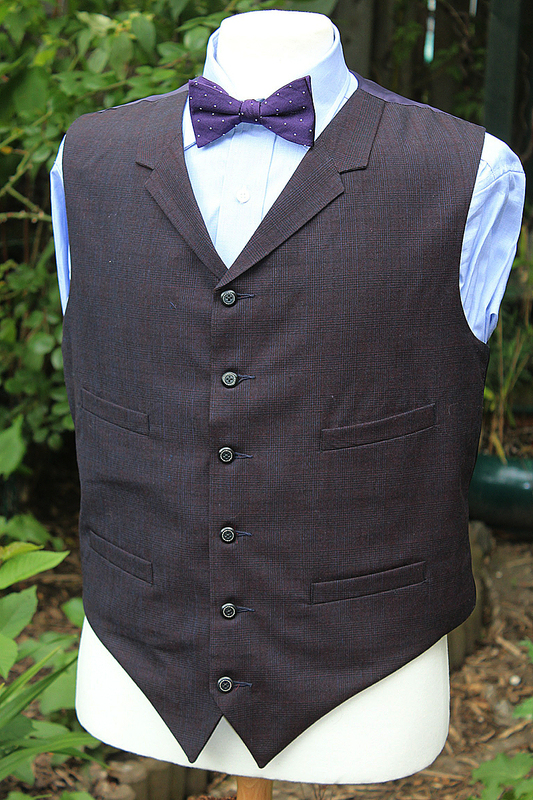 That corduroy collar is delightful detail as are the dorset buttons on the waistcoat. where did you get that fabric? 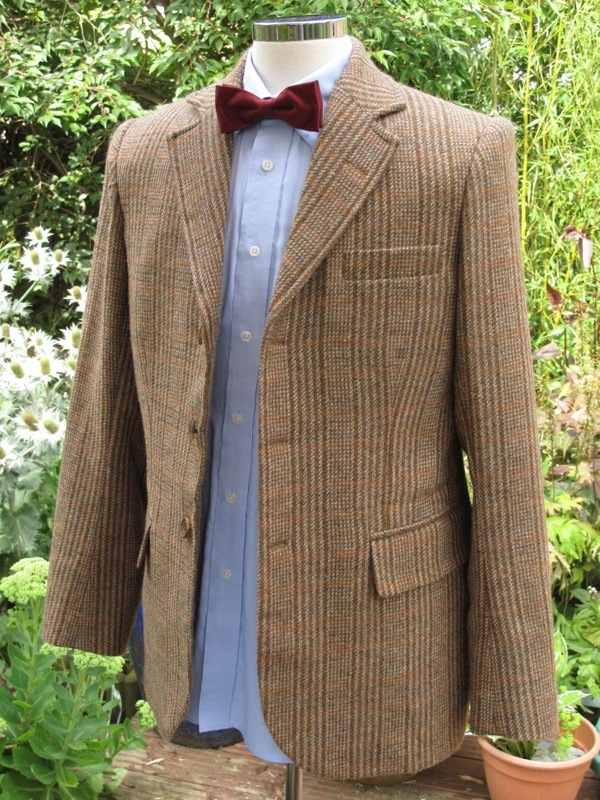 Like the Shetland tweed from series six, it's a W Bill fabric. It doesn't have a name as such. It's just a cashmere with a reference number. But I'm afraid knowing that is of little help now as it is sold out and there is zero chance of restocking.